Size : 11.6 x 13.1 mm. Weight : 0.36 grams. Grade : gF due to weakness in the strike, but VF for technical wear. There is a minor bend in the flan. 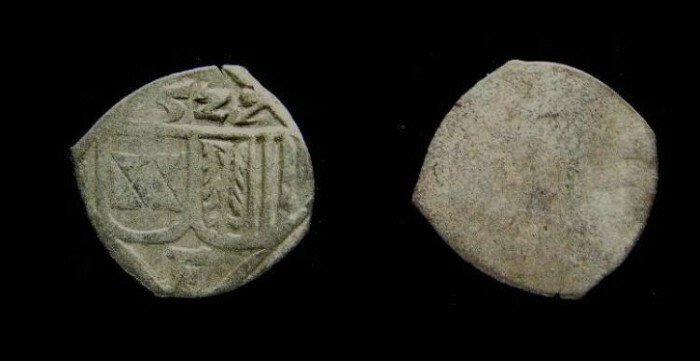 Obverse : Double shield with 1527 above and F below. Reverse : Blank (this is a uniface coin).